Beautiful 4 bedroom 2 bath home, Ivy model, in Osceloa Hills, with almost 2700 sq ft of living space and fantastic water and preserve views. 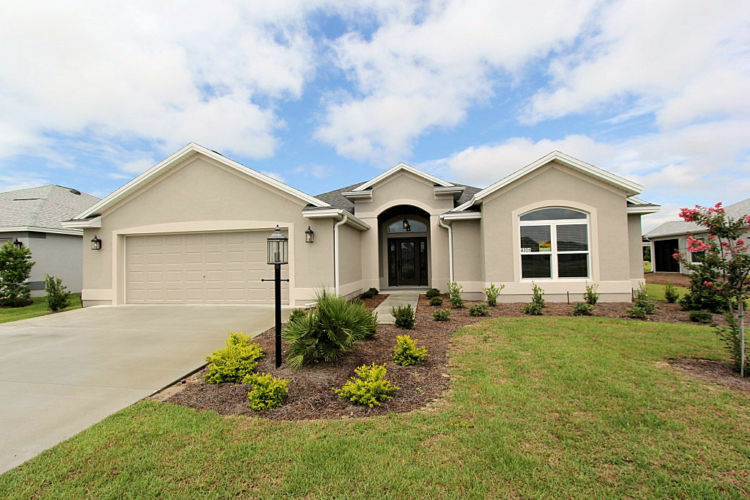 This huge home features wood-looking tile floors throughout living and kitchen area with carpet in bedrooms. The kitchen has granite countertops and stainless appliances with white cabinets and double wall oven. A wine bar with cabinets will be installed. The living room has triple sliding doors that open onto extended lanai. The master bedroom has a walk in closet, double sinks in bath, garden tub and walk in Roman shower, complete with plenty of cabinets for storage. The laundry room features a built in sink and desk area with plenty of overhead cabinets. The two car garage is oversized and will accommodate 2 cars and 2 golf carts. Located close to Brownwood, you are just minutes from shopping and entertainment. Enjoy the beautiful sunsets while lounging on the large lanai.